With millions of travellers flocking to its shores each year, and most taking the same old, well-trodden paths, many see only a fraction of what Thailand has to offer and neglect vast swathes of this enchanting country. The virtues of Koh Samui and the madness of Bangkok are well known, but there are plenty of other places off the beaten track that will provide an unforgettable experience – a taste of real Thailand, if you will. Here are those hidden gems – make sure you visit before the masses do. Nestled high in the mountains in Chiang Mai province is the small town of Chiang Dao, which means ‘city of the stars’ – named as such due to its high altitude. The cool temperature makes it a great place to explore the surrounding limestone peaks. You’ll find plenty of friendly hill tribe members in Chiang Dao, and ample opportunity to try dishes you won’t find elsewhere. Just 80km from Chiang Mai and with numerous caves, hot springs and waterfalls to explore, as well as mountains, it’s a real find in the heart of cool Chiang Mai province. 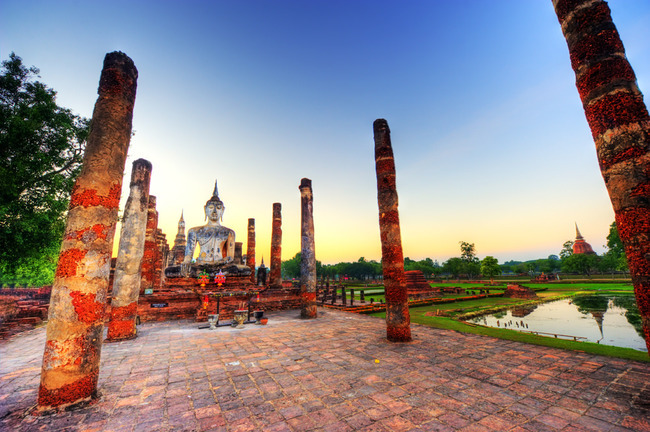 Thailand’s former capital, Sukhothai translates to ‘dawn of happiness’ and it’s hard to feel anything but elation in the presence of its numerous temples and Buddha statues. With almost 200 ancient sites dotted between trees and ponds full of lotus flowers, it’s an important piece of Thai history and home to some awe-inspiring monuments painstakingly restored to their former glories. With no hotels in the historical park itself, you’ll have to travel a little, but it’s well worth it and hotels can be found nearby. Try visiting during the Loy Krathong festival – the sight of candles and fireworks illuminating the temples is one you’re not bound to forget. A province in central Thailand close to the Myanmar border, Phetchaburi has long been neglected by tourists yet remains popular with locals. Hike through its national parks, which are home to dense rainforests containing an array of spectacular wildlife, such as clouded leopards and elephants. 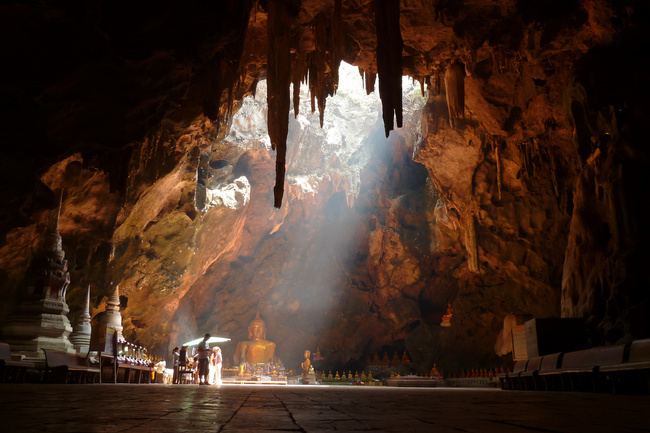 In this district you’ll also find Tham Khao Luang, a dramatic limestone cave with numerous Buddha statues, including a particularly large reclining one. Most tourists only pass through the province of Surat Thani to reach one of the popular islands – yet it has so much more to offer. 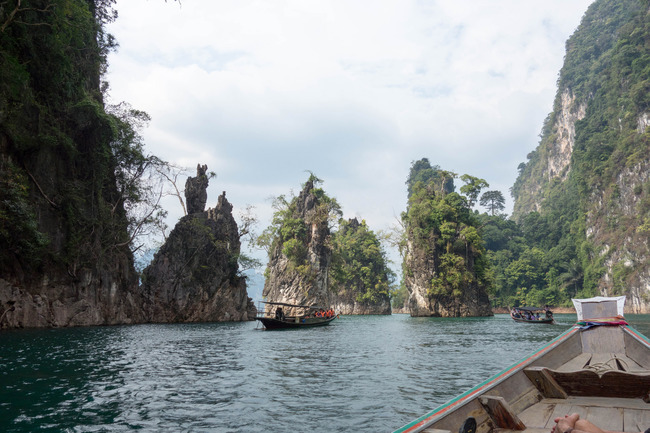 Within it is Khao Sok, a national park, home to the biggest virgin rainforest in Thailand with plenty of activities to keep you busy – from trekking to canoeing and bamboo rafting on the rivers. There’s a range of accommodation available: think treehouses among the gibbons and cabins alongside a picturesque lake. With gorgeous limestone karsts that are best viewed by boat and thick, dense rainforests providing the perfect backdrop to a trek, it’s one of the most beautiful areas in Thailand. Located in the Isan region on the edge of an extinct volcano, Phanom Rung is an ancient Khmer temple complex that bears a resemblance to the better-known Angkor Wat in Cambodia. 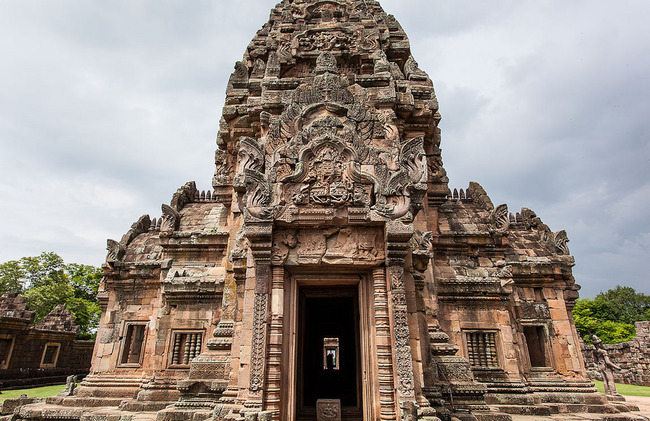 Incredibly well preserved, it was originally a Hindu temple, and the carvings on the buildings depict scenes and figures from the faith, such as Vishnu. At the entrance, you’ll climb sweeping stairways and cross three bridges adorned with Naga – a many headed serpentine creature – before being greeted by one of the most exquisite ancient temples in Thailand. With no hotels around and no real tourism infrastructure to speak of, the best place to base yourself is probably the town of Buriram. When travelling to Krabi province, most pick the famous Koh Phi Phi as their island to visit, neglecting Koh Lanta. 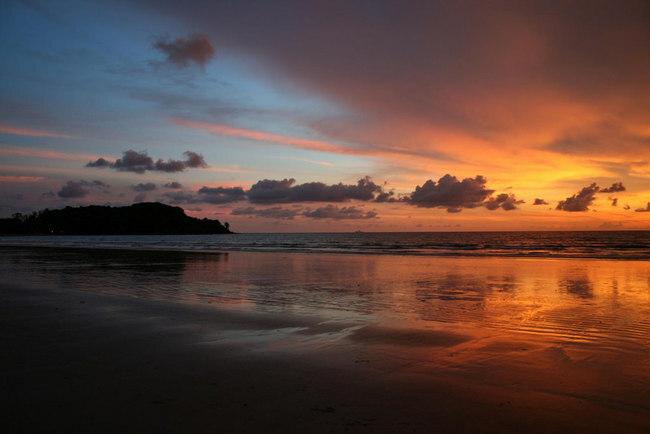 However, Koh Lanta is still a gorgeous choice. Much less developed than many of the well-known islands, it’s been the next-big-thing for years, yet tourist numbers are still low. 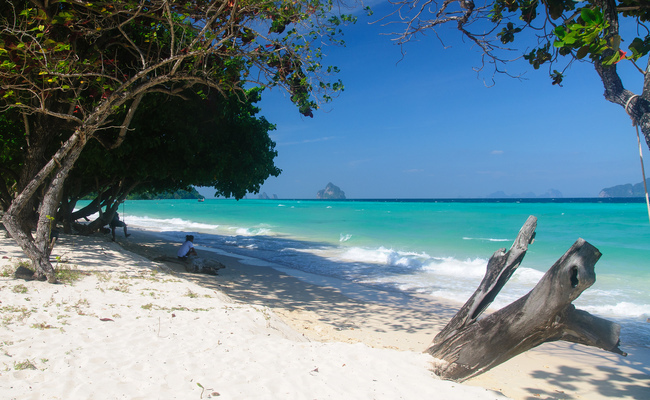 With several idyllic beaches, traditional beachfront bungalows, miles of thick rainforests to explore and some of Thailand’s best diving off the coast in Koh Rok, Koh Lanta may just grow out of ‘hidden gem’ status in a few years – so make sure you visit before tourists crowd the beaches. While Krabi may take all of the plaudits as the most idyllic province on the Andaman seaboard, you’ll find Trang a beautiful but less-travelled option. With miles of coastline to explore, both on the mainland and its stunning islands, this sleepy province is a worthy pretender to Krabi’s throne. Chinese influences can be seen in its architecture and great food scene – you’ll find noodles and barbecued pork all over. Coffee is also popular here, though like in Singapore they call it kopi. Great beaches, awesome food and strong coffee: it’s a wonder Trang isn’t more popular – but we’re not complaining. 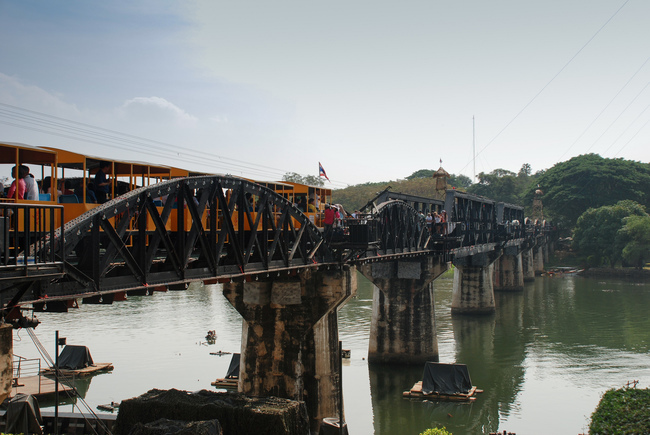 Situated in the west of Thailand, Kanchanaburi is perhaps most famous for its bridge over the River Kwai and the infamous ‘death railway’ that the Japanese forced Allied prisoners to build. Here, you’ll find lots of war museums telling their story – making it a great place for those who like to learn a thing or two on their travels. If you’re less historically inclined, never fear: from waterfalls in scenic national parks to elephant sanctuaries and a river that’s great to relax by, there’s something for everyone; Kanchanaburi should definitely be added to your list of places to visit. 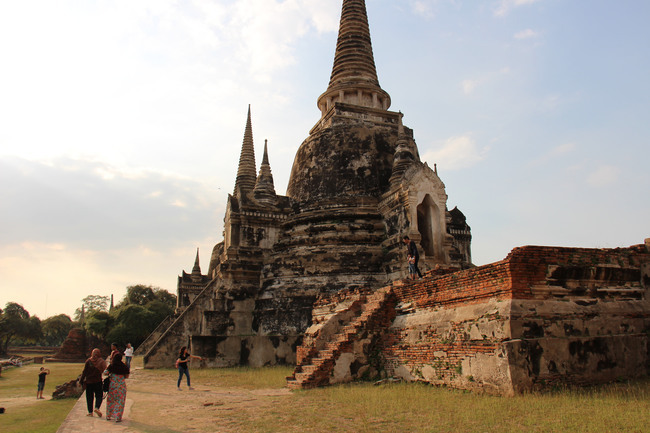 A UNESCO World Heritage site, Ayutthaya is another former capital of Thailand and home to several temples, Buddha statues and other ancient features. Raided and captured by the Burmese in 1569, much of it now lies in ruins, but there’s still plenty to see, including the poignant sight of Buddha’s head entwined in the roots of a fig tree. Comprising several sites, day trips from Bangkok are possible, and it’s advised to travel with a guide if you want to know as much as possible about the city’s history. For travellers seeking authenticity, Sangkhlaburi is the place to go. 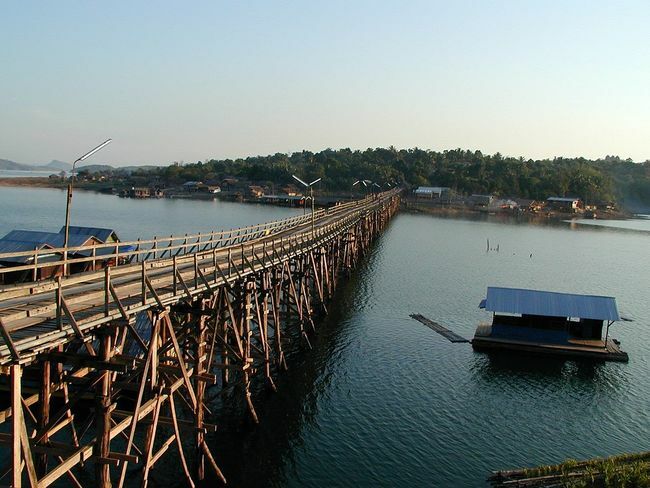 A quiet area, with plenty of population centres comprising several wooden-stilted and floating villages, Sangkhlaburi has a mixture of Thai and ethnic minority groups, such as the Mon and Karen people. Sitting on a boat on the middle of the Khao Laem reservoir as the sun rises and mist envelops the mountains surrounding you is likely to be a scene you’ll remember for a long time. While there’s not much to do in terms of nightlife, it’s a great place to visit for nature and to discover what life was like in Thailand before the millions of tourists changed it forever. Discover the off-the-beaten-track parts of Thailand on a small-group holiday with Intrepid Travel.